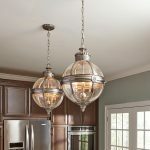 This Feiss Adams pendant chandelier 3-light globe lantern in antique nickel is suspended from a detailed circular ceiling mount and chain suspension. The 37cm glass orb body contains a mini chandelier, with three candelabra style lamps hanging inside. 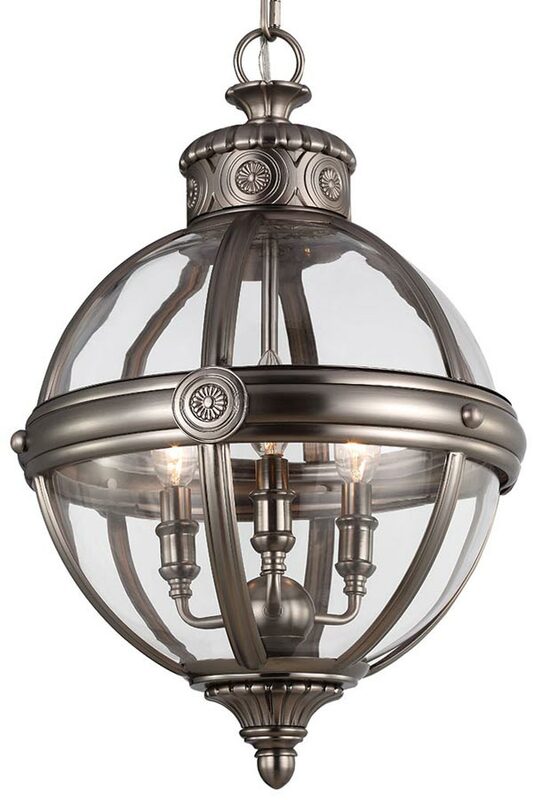 The globe features a broad antique nickel band around its diameter, with smaller bands radiating from top to bottom and clear curved glass panels. A highly detailed top mount features rim rosette designs and the lower finial boasts an acorn with ribbed detail. There is a larger four-light globe lantern in the antique nickel Adams range and also available in British bronze, please see below for the full collection. This stunning light is supplied by Elstead Lighting and designed in the USA by Feiss, founded in New York in 1955. 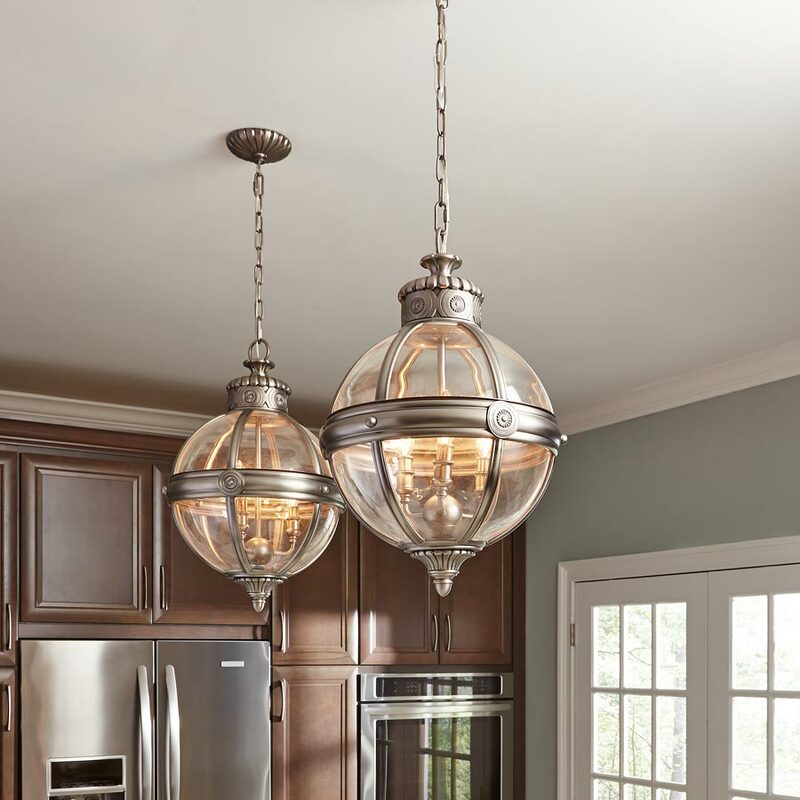 They have become well known over the years for their contemporary yet classic styling, quality and great original designs like the Adams pendant chandelier 3-light globe lantern in antique nickel you see here.